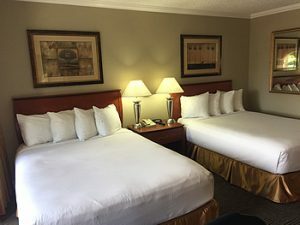 Our standard two queen beds guest room features pillow-top mattresses, microwave, mini-refrigerator, coffee-maker, iron, ironing board, hair-dryer and 27″ color television with cable. 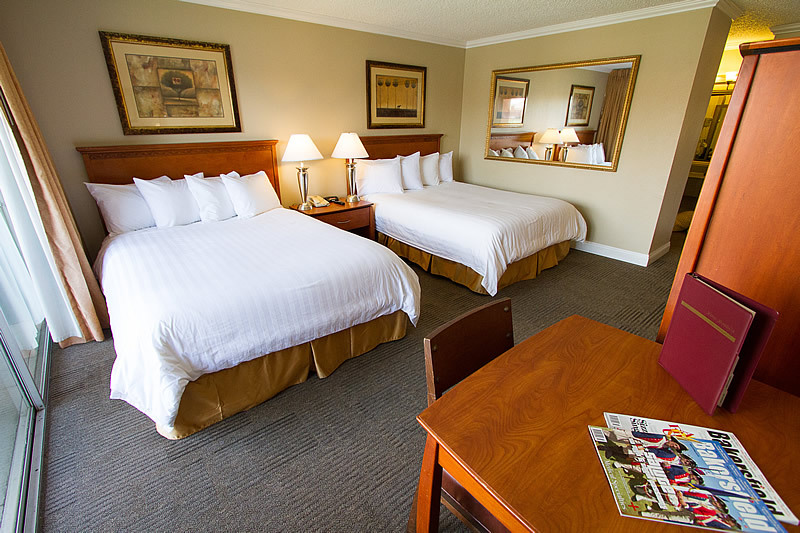 Ample-sized work station and comfortable chair are also available in each guest room. All our rooms are non-smoking. 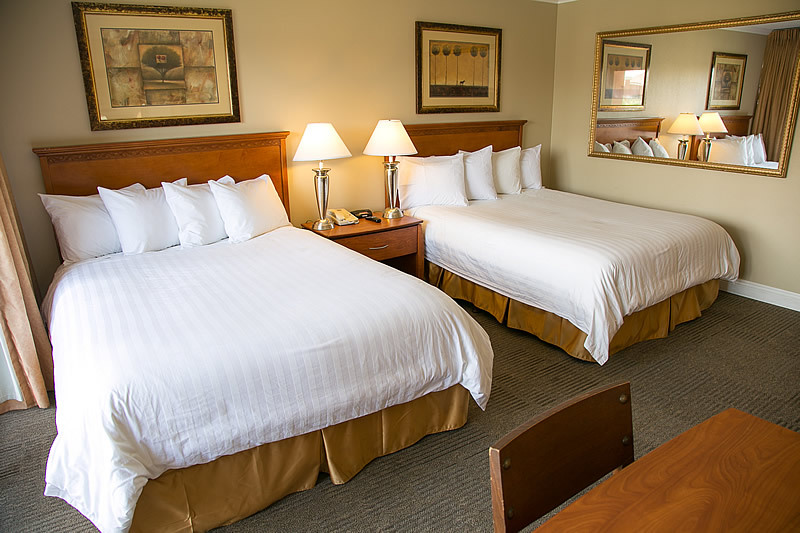 Our standard king pool-side guest room features a pillow-top mattress, microwave, mini-refrigerator, coffee-maker, iron, ironing board, hair-dryer and 27″ color television with cable. 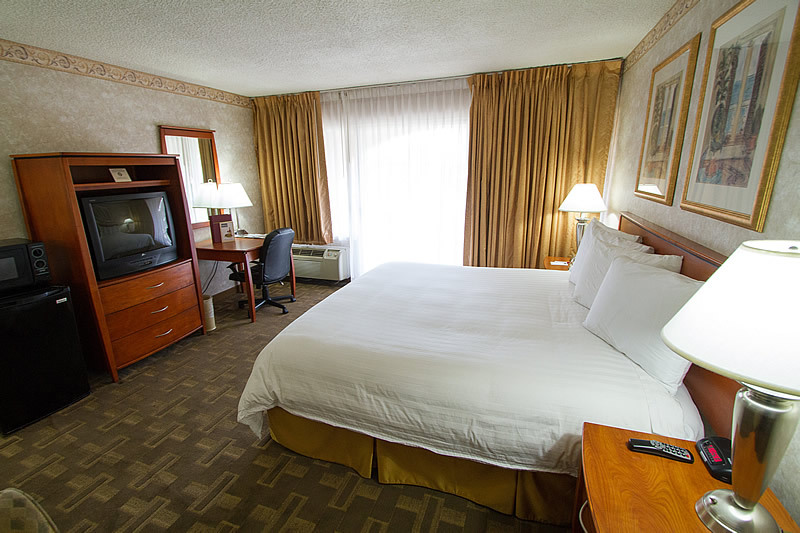 Ample-sized work station and comfortable chair are also available in each guest room. 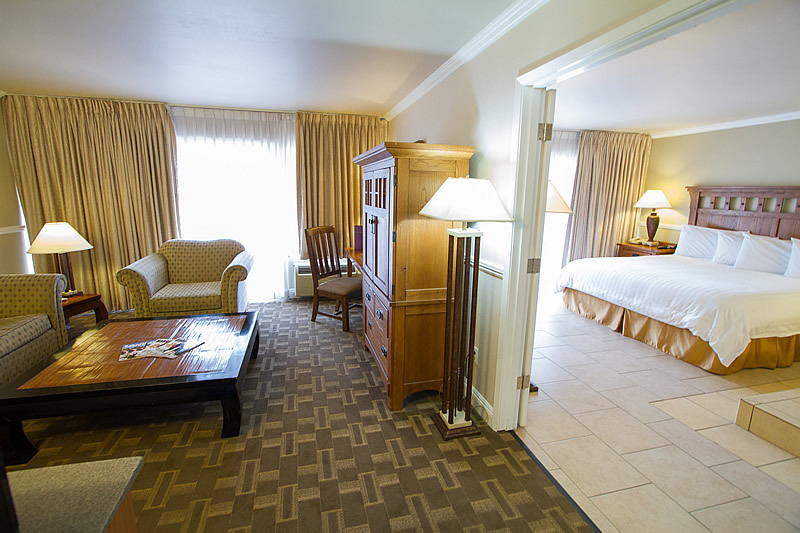 Each of these rooms has either a patio or balcony with views of our courtyard and pool. All our rooms are non-smoking. 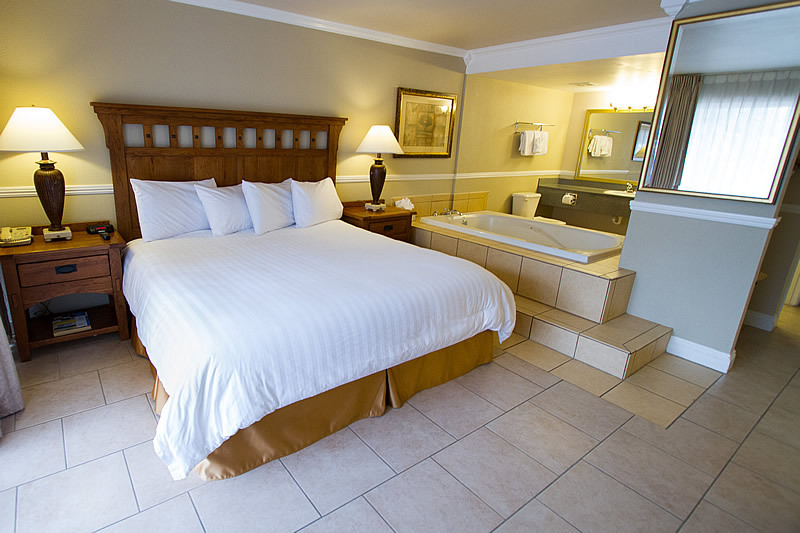 Our deluxe two room spa suite features a king bed pillow-top mattress, wet bar, two-person sunken spa-tub, sitting area with couch pull-out, microwave, mini-refrigerator, coffee-maker, iron, ironing board, hair-dryer and two 27″ color television with cable. 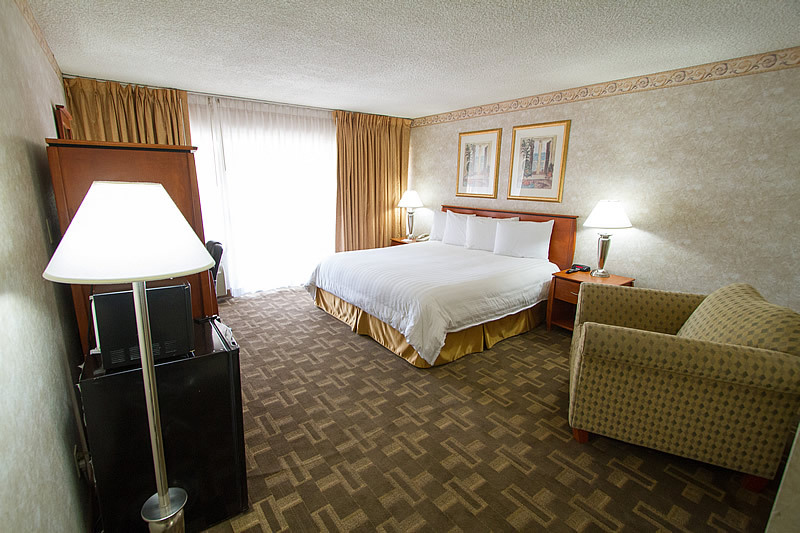 Ample-sized work station and comfortable chair are also available in each guest room. 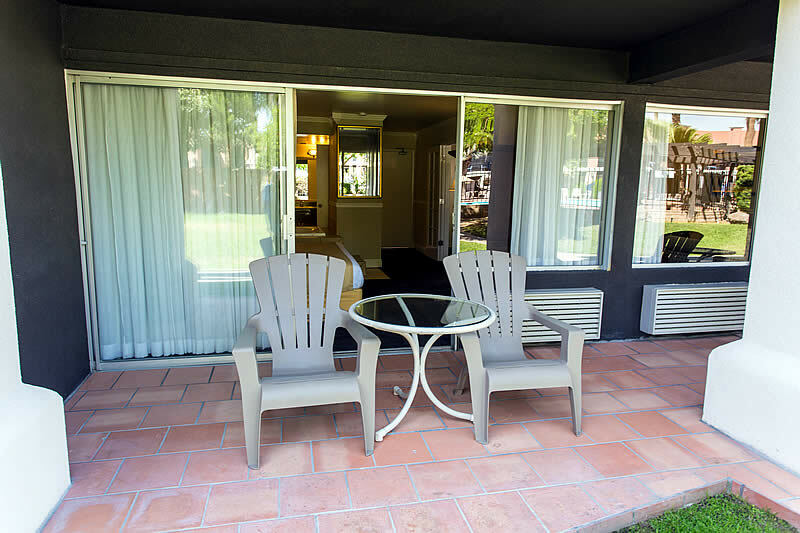 Each of these rooms has a patio with a view of our courtyard and pool.All of our rooms are non-smoking. A credit card is required for security deposit and payment of room. We require a deposit for all rooms.